Google’s new Android Q has been rollout for operating system users. It has been introduced in beta version. First of all, this update has been provided in Google Pixel Devices. It includes pixels 2, pixels 2xL, pixels 3, pixels 3xl smartphones. If you also use a pixel smartphone, then you can also update Android Q. However, before this it is important to remember that before updating your phone, you must backup your data. Here we are telling you how to install and download Android Q in your phone. Step 1. Users must first go to google.com/android/beta. Step 2. Now you have to enroll for the Android Beta program. Step 3. After enrolling, users will receive a notification. It will be written that your system is ready to update. Step 4. Now you will have an option of install. Before installing, you will have to reset the smartphone. After this your Android smartphone will come in beta. If you want to come back to your old Stock version then go to the Officially Beta website and click on the opt-out option. After this you will have an update during the next 24 hours. After this update, you have to reset the smartphone. The beta version of this new operating system has been rolled out as the official beta of Android Q. Google’s Vice President (Engineering) has told the App Developers about the main features of this operating system through their blog post. Android Q focused on additional privacy and security. App Developers This new operating system’s camera features like more 3D filters, customized Bokeh filters, etc. can be given in depth mode. Also, it will take less time to load the app. Google’s new operating system will focus primarily on privacy in the Android Q. In the Android Q, users will be able to decide which app to permit which app to permit and which app does not have to permit. In all the Android operating systems that have been launched so far, if an app asks you for a permit of the location then you grant it permission only if you can access that app correctly. 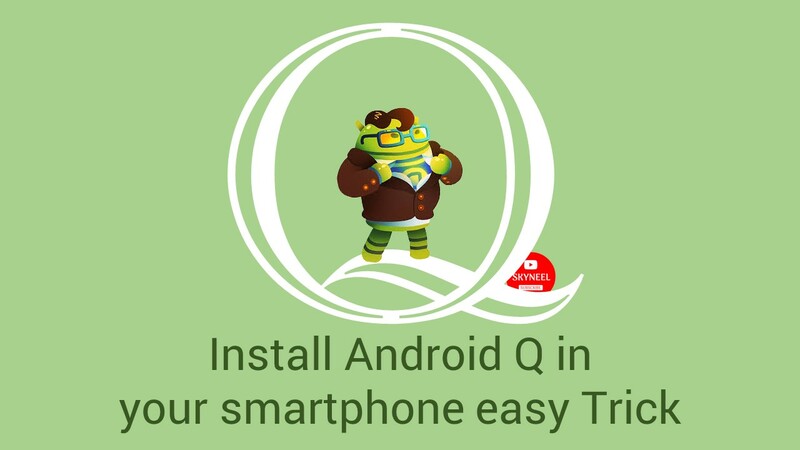 Install Android Q easily installed on your phone With the help of this article. We published an article about the Android Q beta. If you want more information about android q beta, you can Click here. If you liked this article then you can also like our Facebook page and subscribe to our YouTube channel too. If you have any problem related to this article, you can comment and tell us.